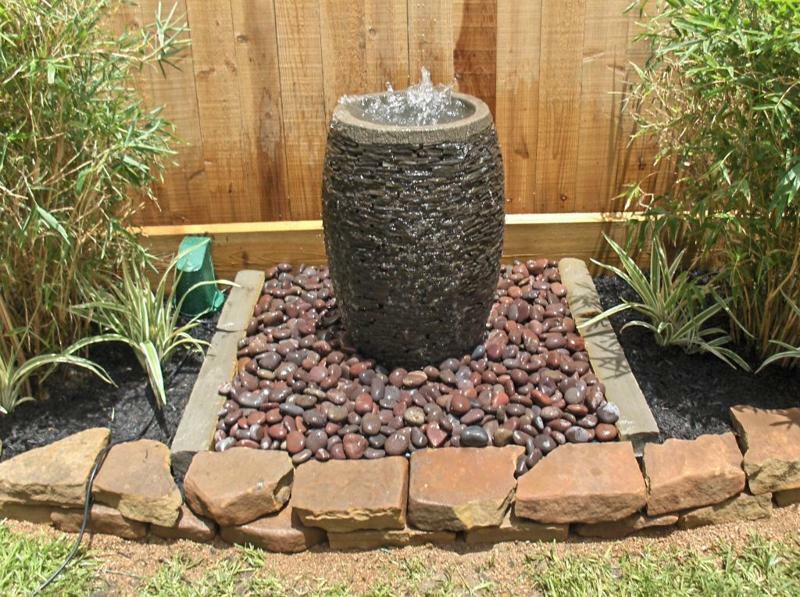 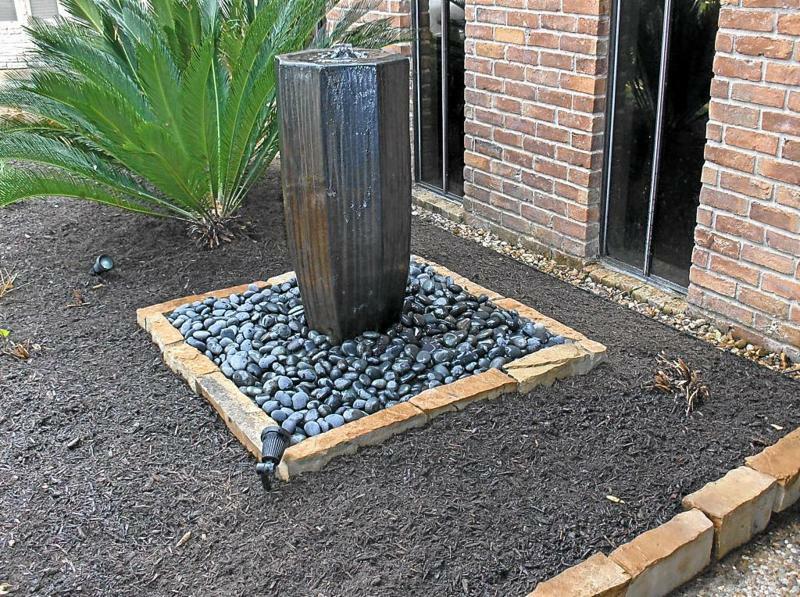 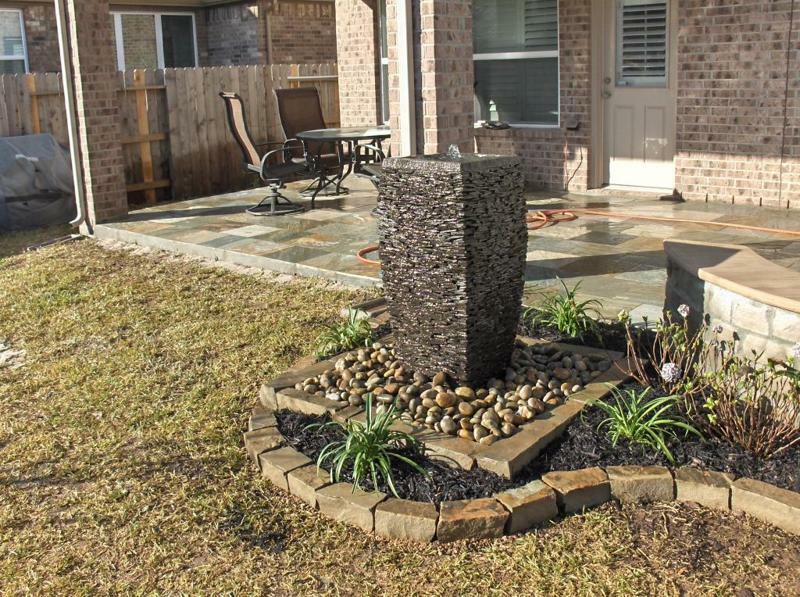 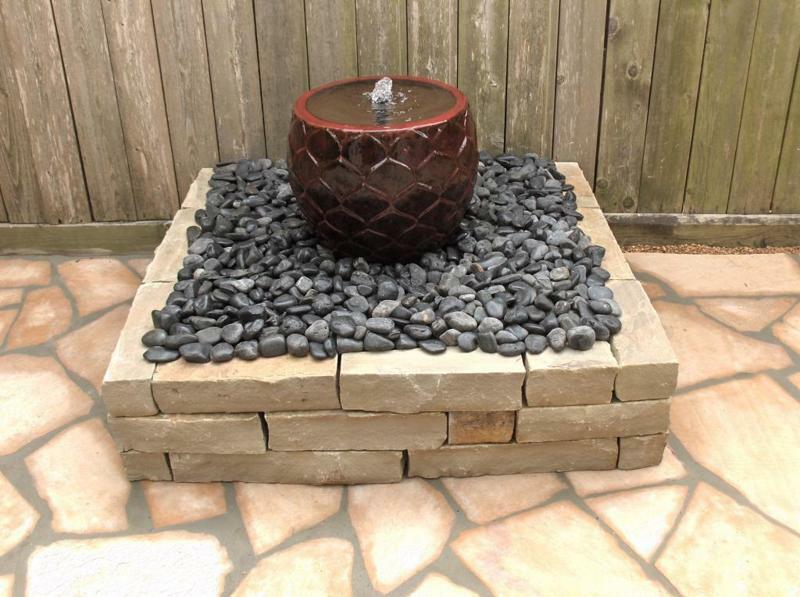 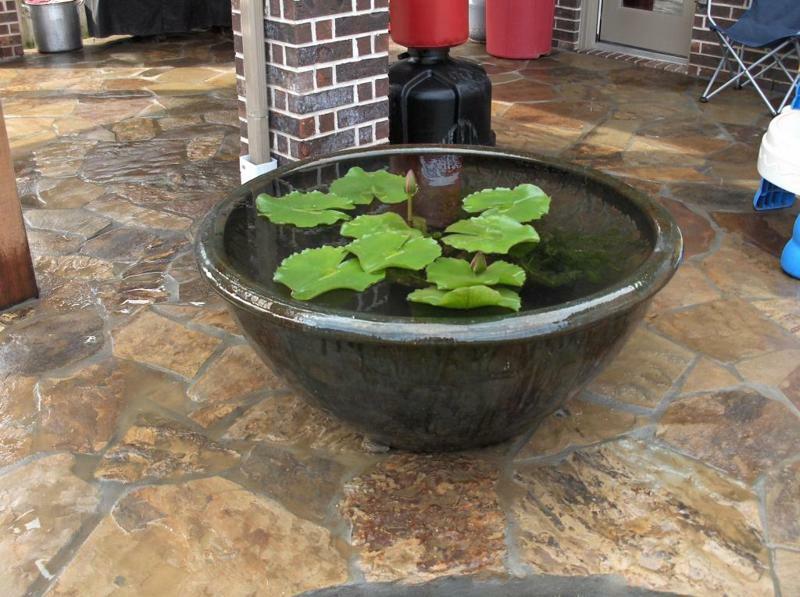 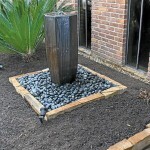 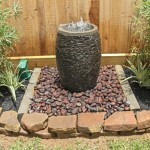 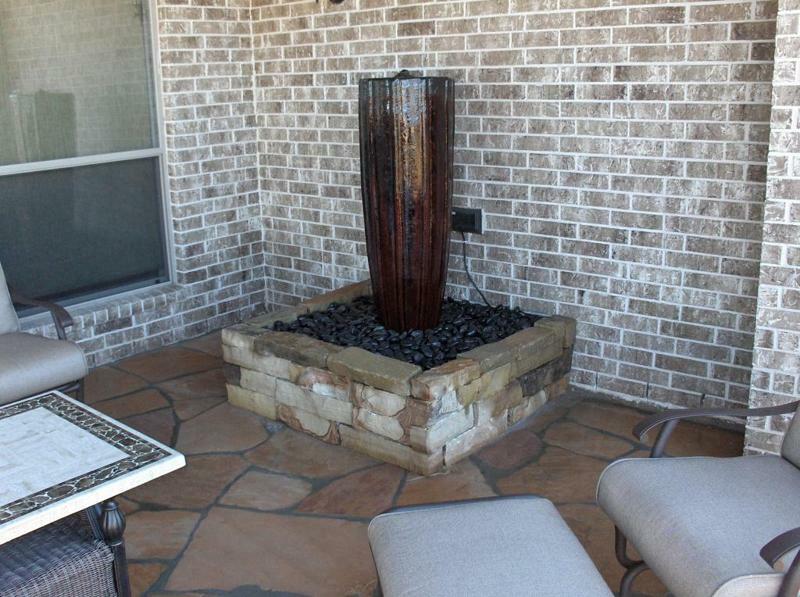 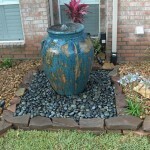 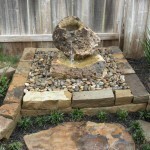 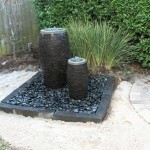 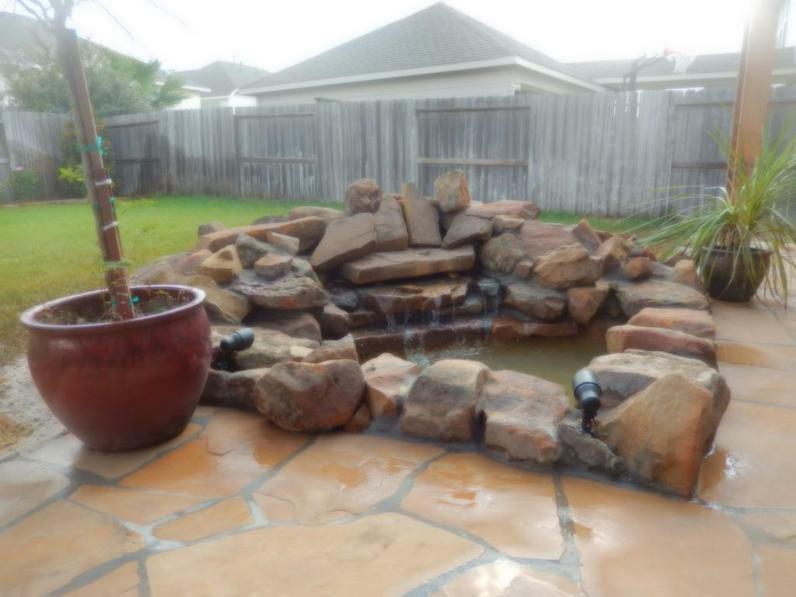 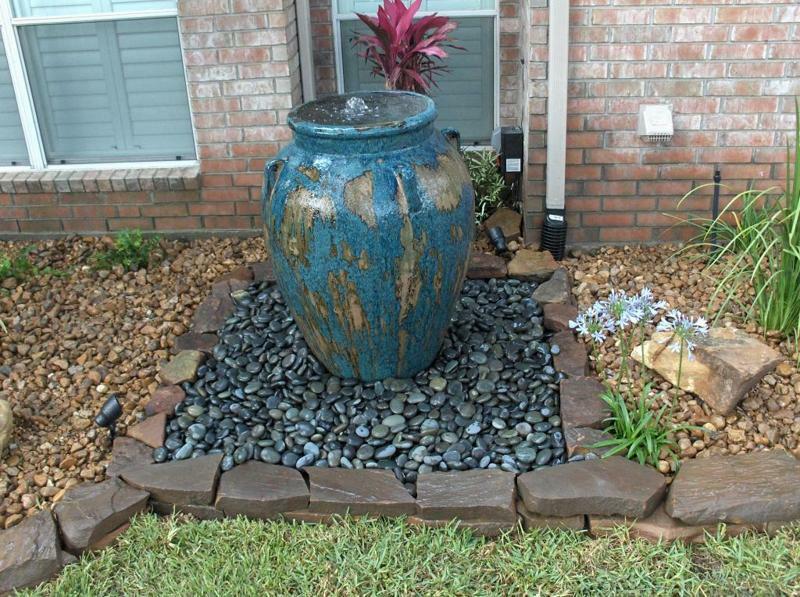 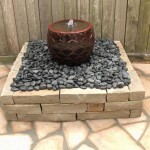 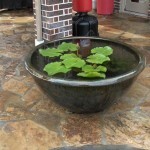 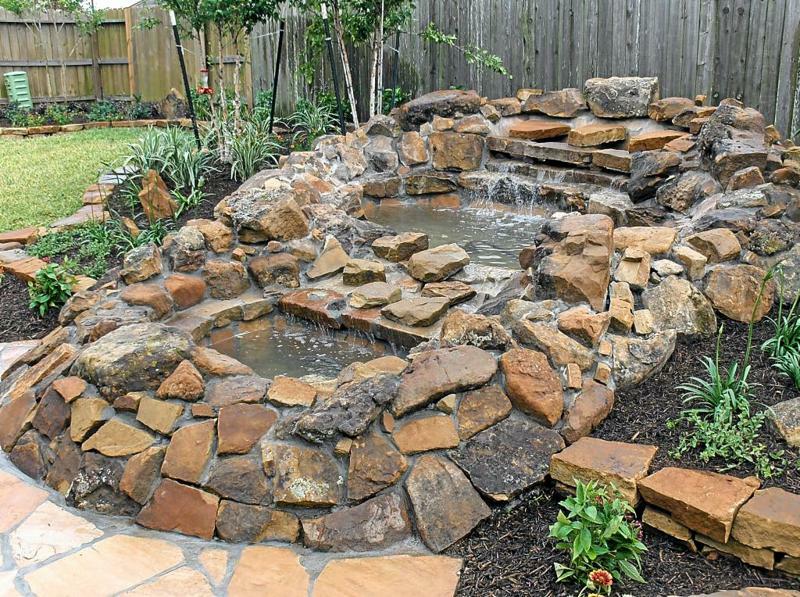 The most popular urban water feature are the disappearing features ranging from simple ceramic glazed pots, stone veneered, and petrified wood. 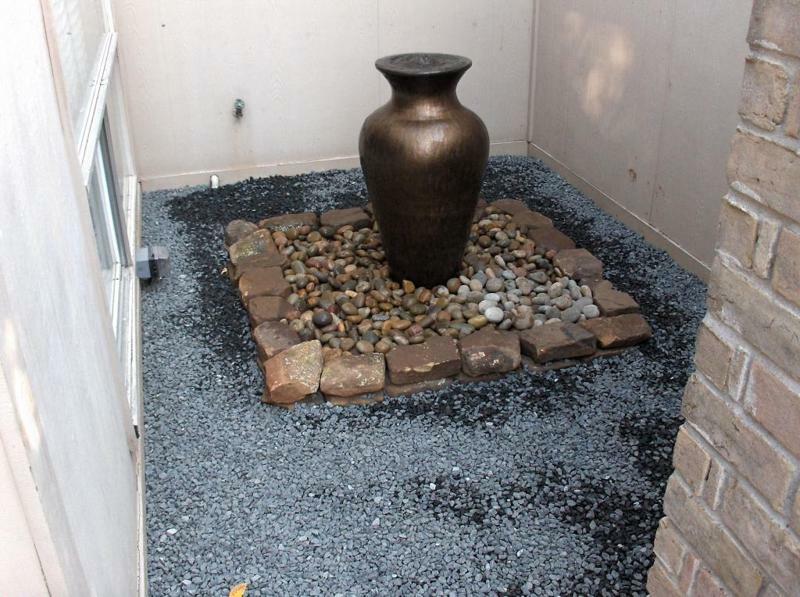 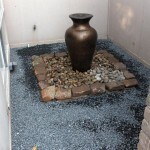 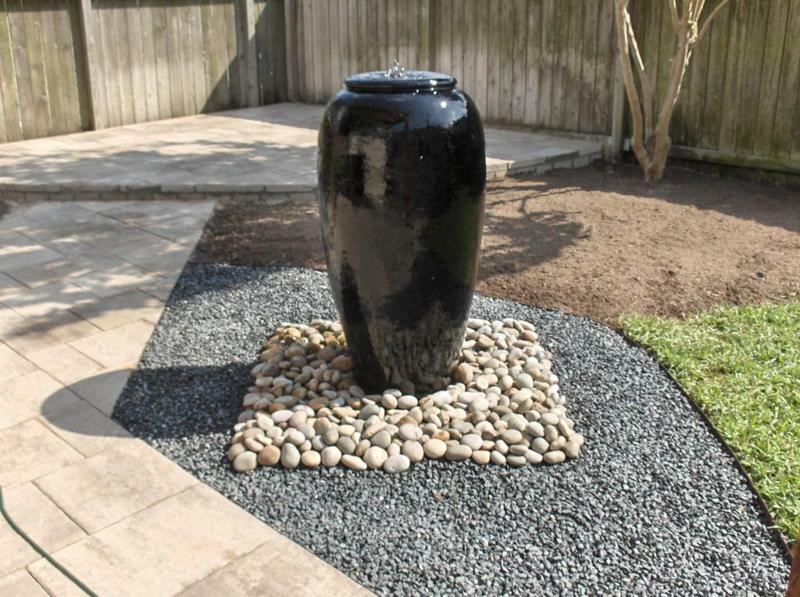 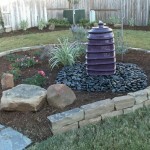 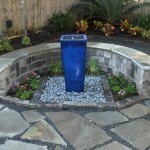 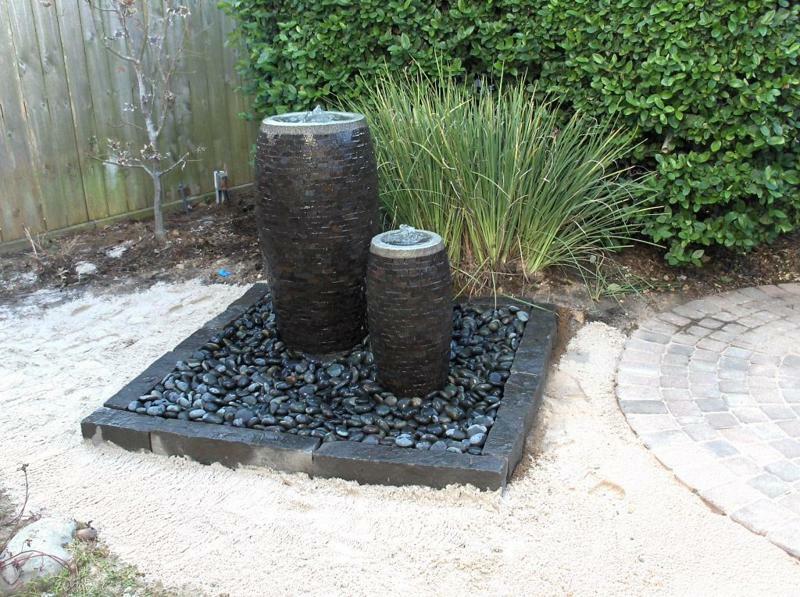 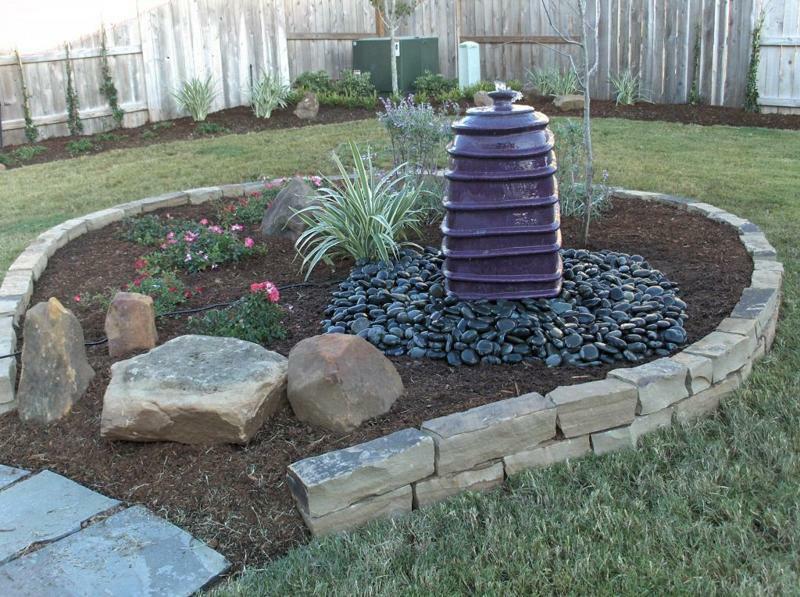 Basaltic rock type features all built over a 3’x3′ or 4’x4′ basin grate system, covered with a variety of colored stones to hide plastic basin. 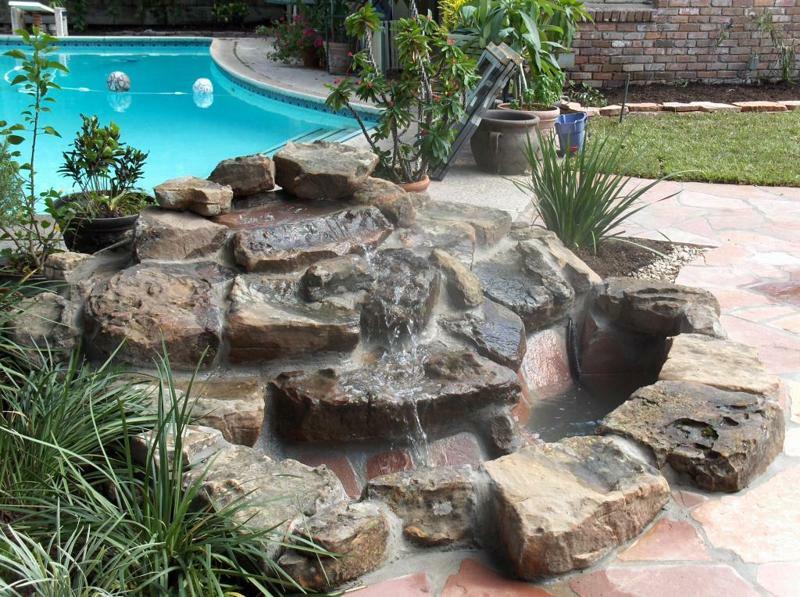 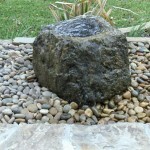 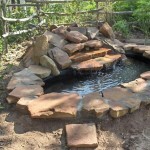 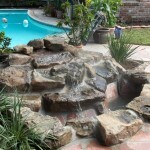 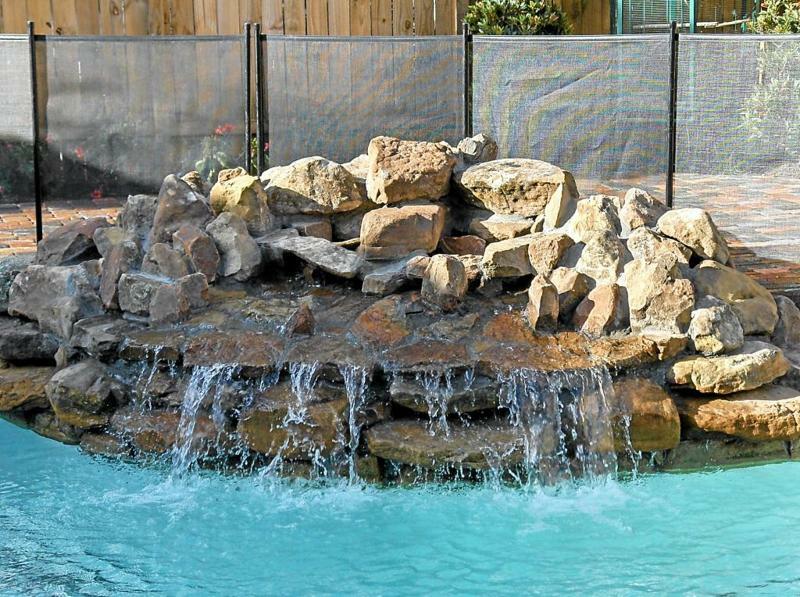 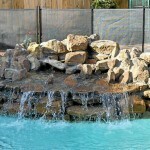 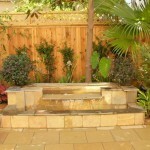 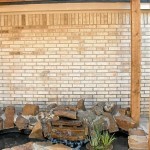 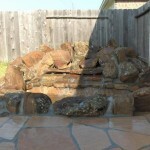 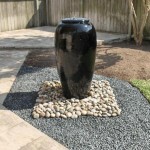 We also build small scale moss rock waterfalls usually with flagstone floors and sides in the pool area. 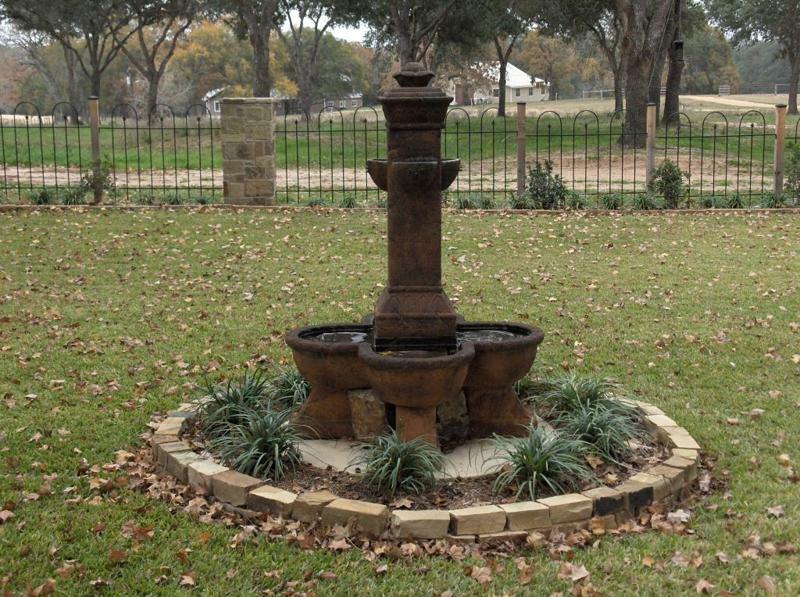 We use a double top reservoir, with two pumps in the 1200 to 1400 gallon per hour capacity. 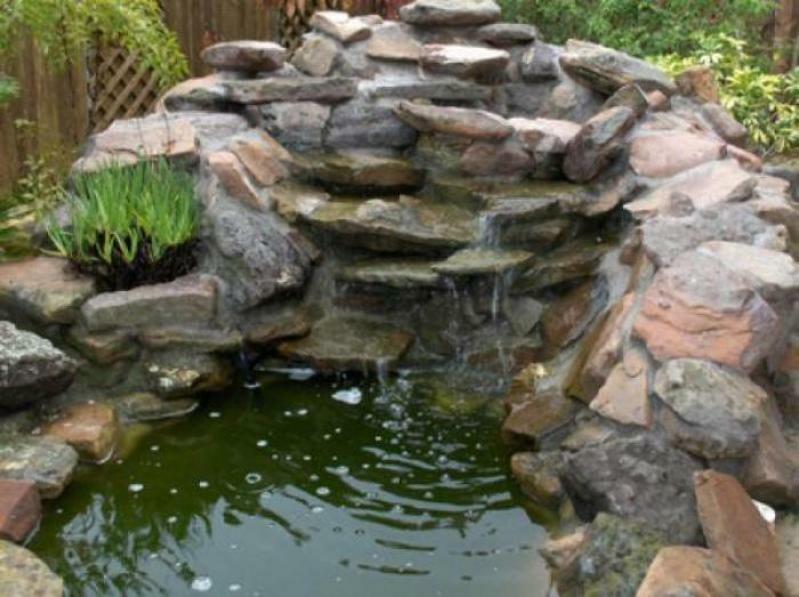 All moss rock upper headway, pool sides, and surrounds. 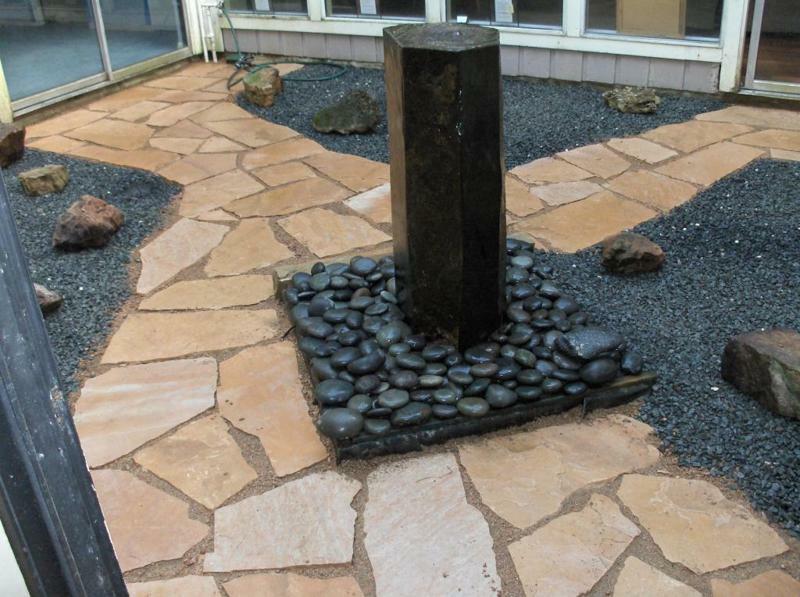 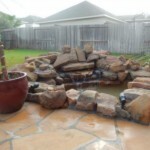 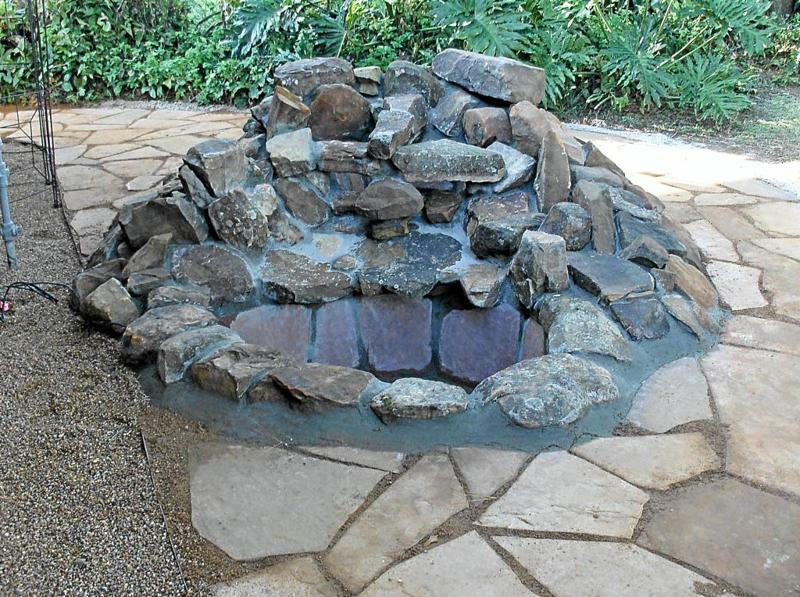 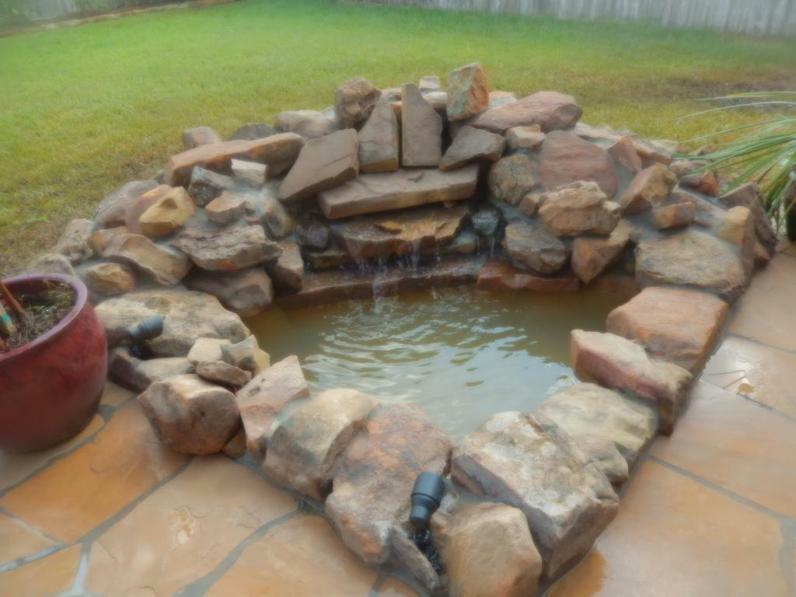 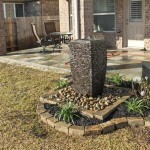 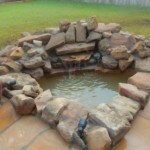 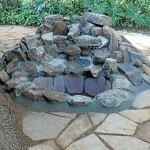 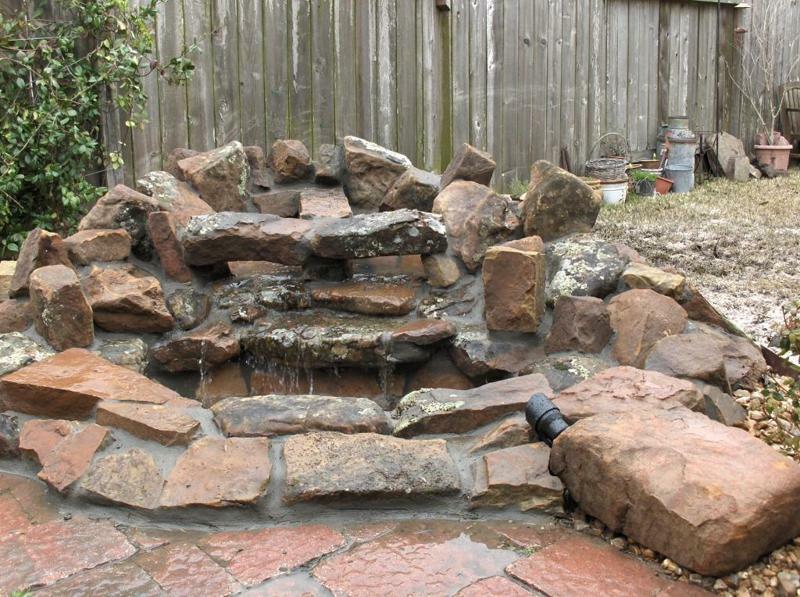 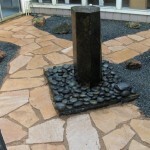 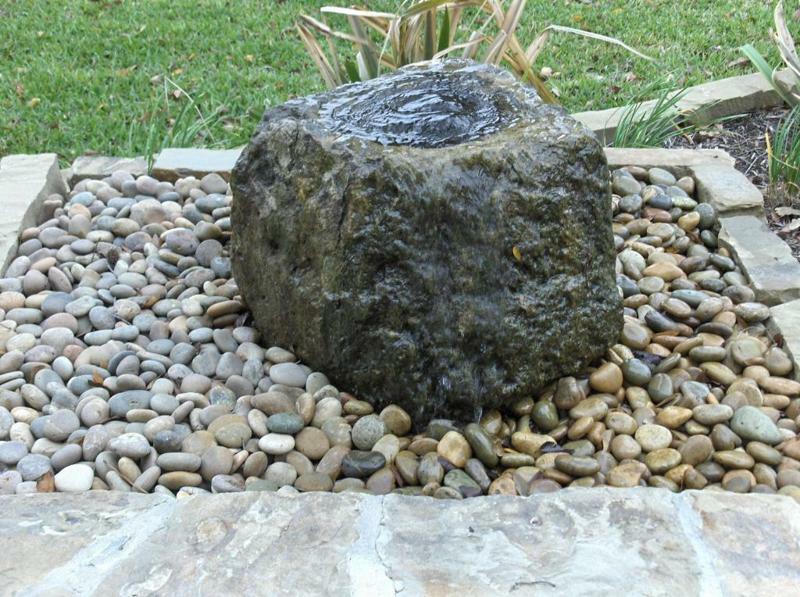 Moss rock waterfall with arizona buckskin patio with granite gravel base and joints. 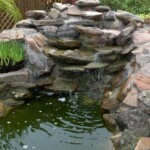 Two tiered moss rock waterfall. 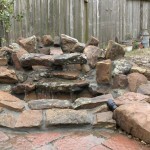 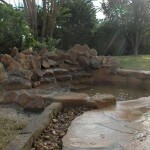 Disappearing water feature with chop rock enclosure. 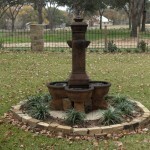 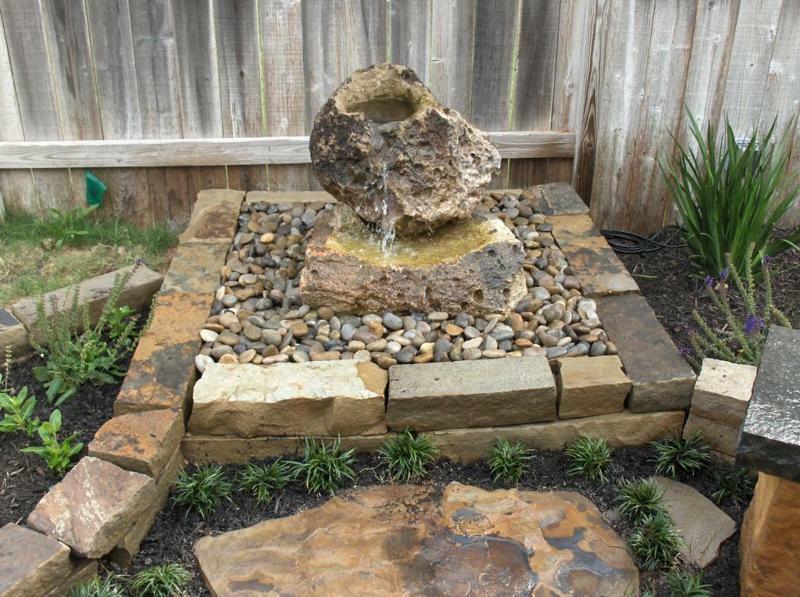 Disappearing water feature. 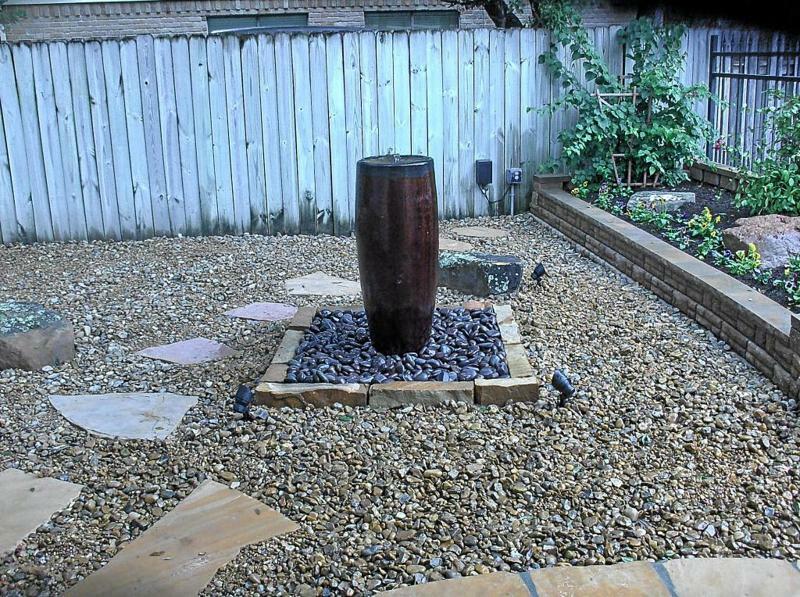 Brown landscape gravel yard. 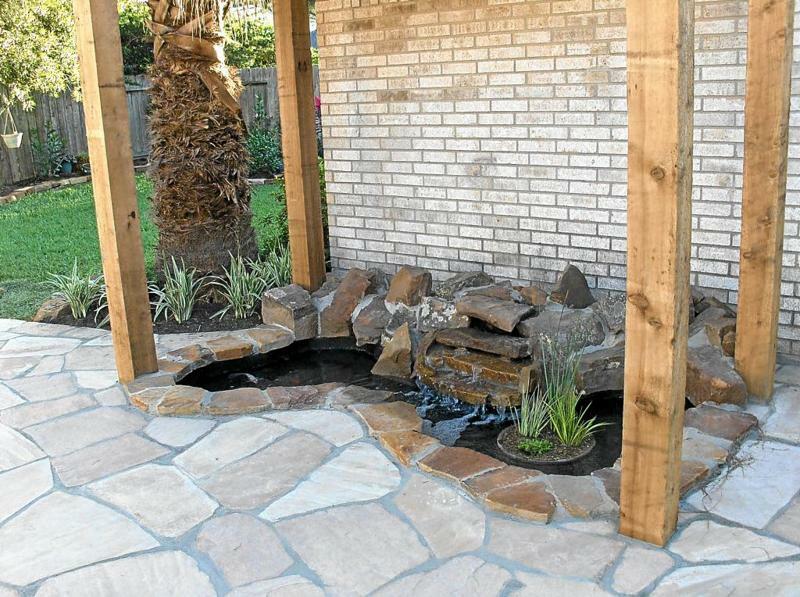 Moss rock waterfall with arizona walkway and patio. 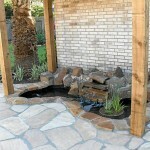 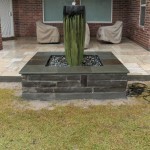 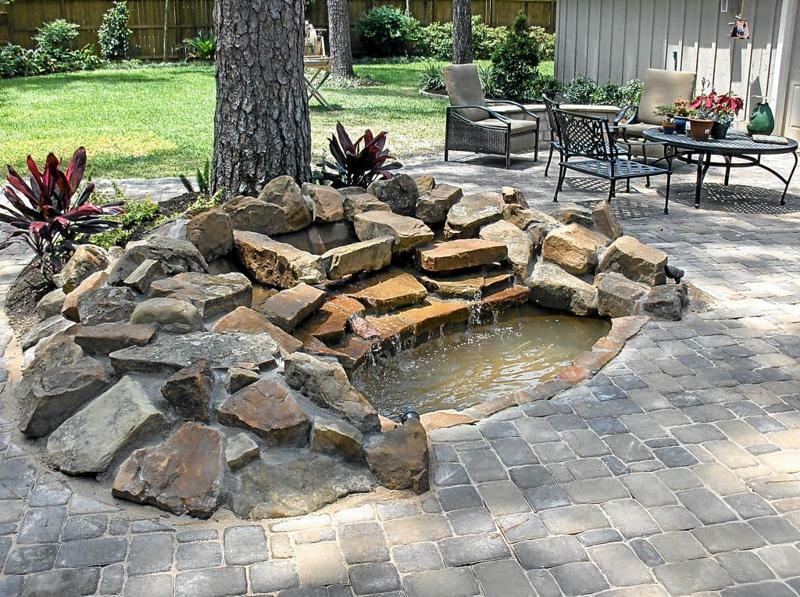 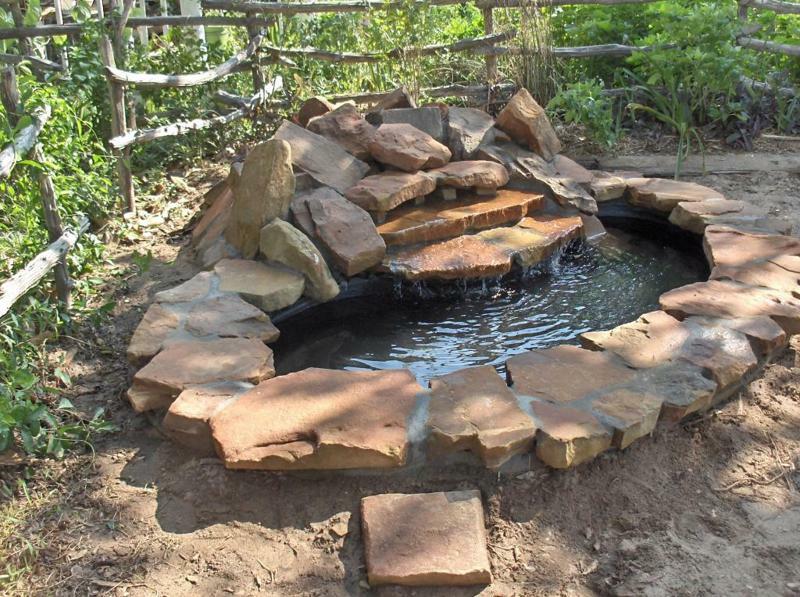 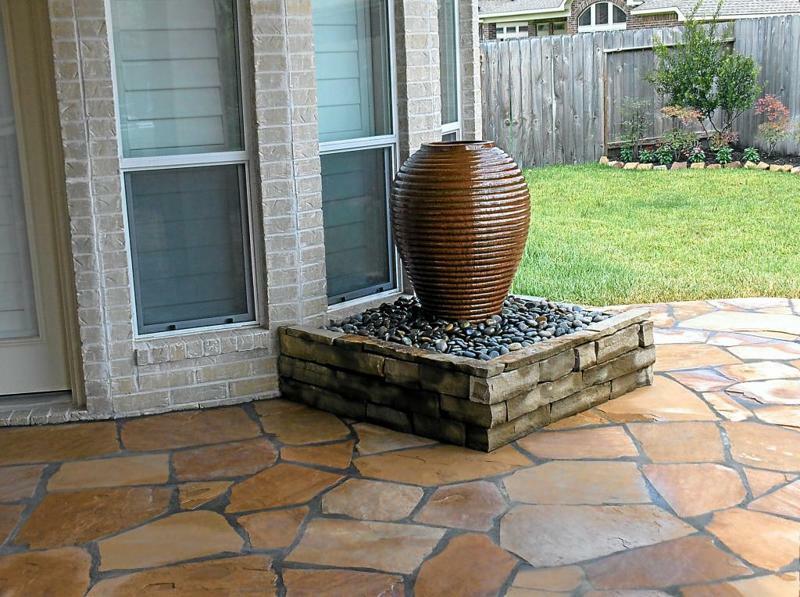 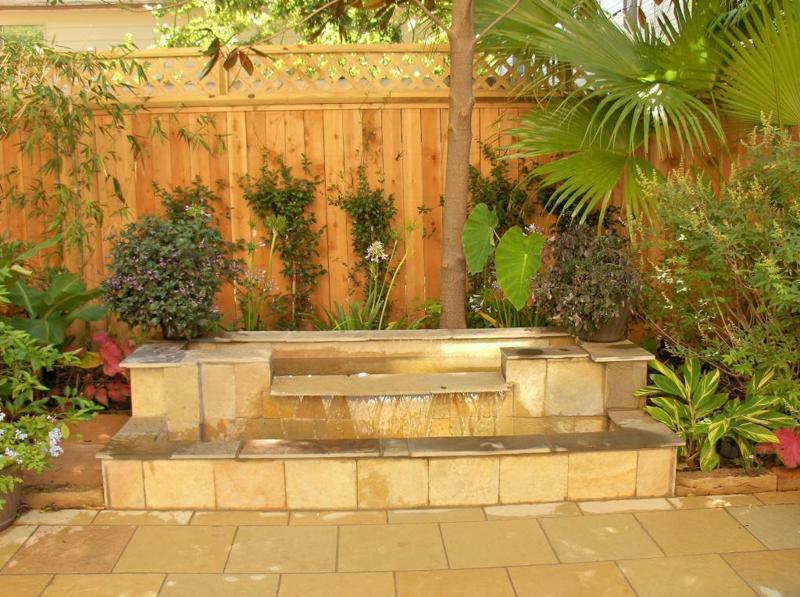 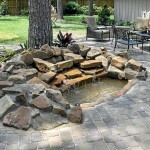 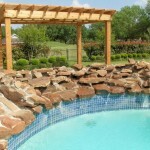 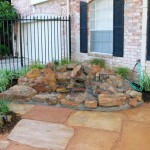 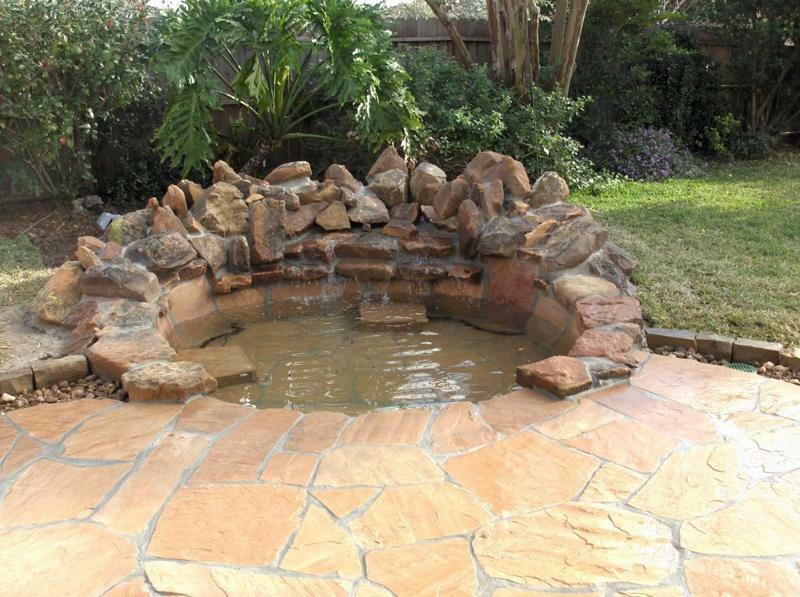 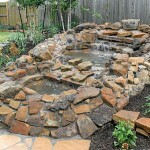 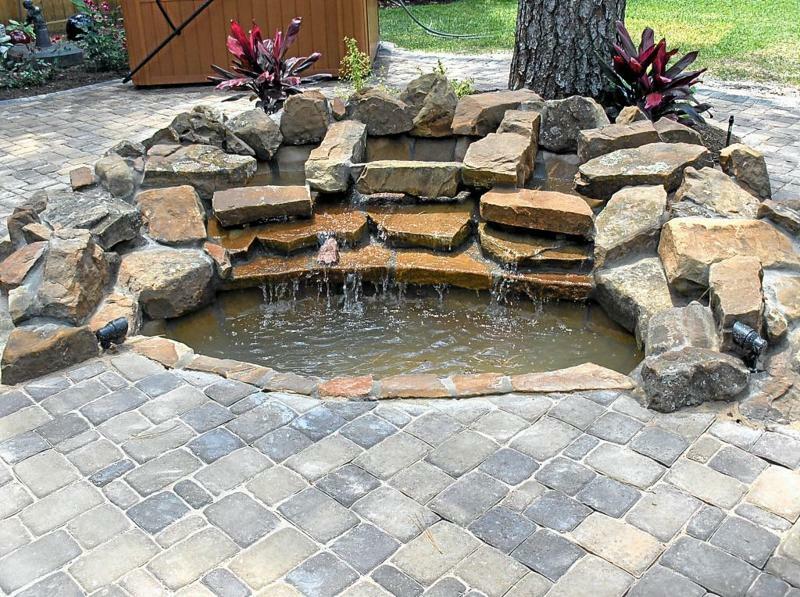 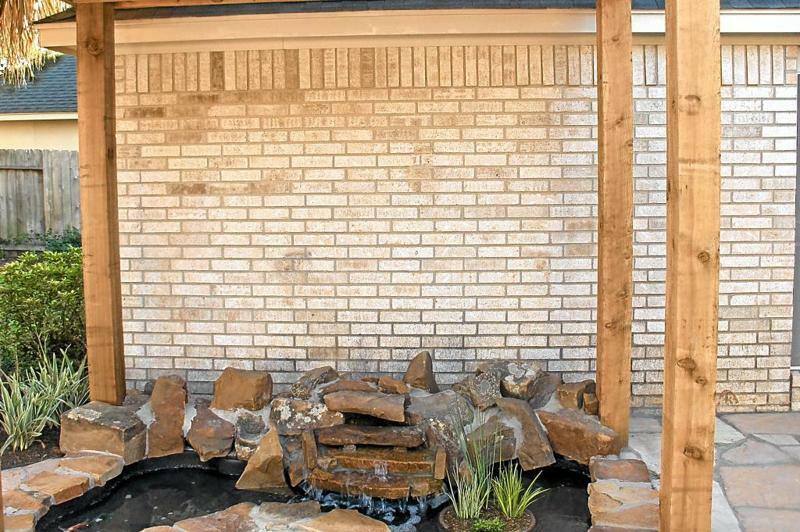 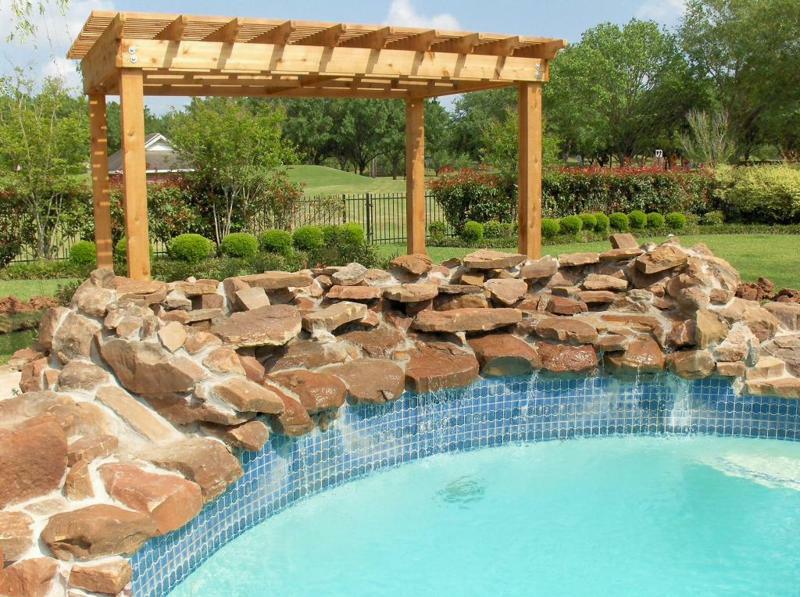 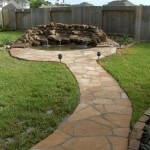 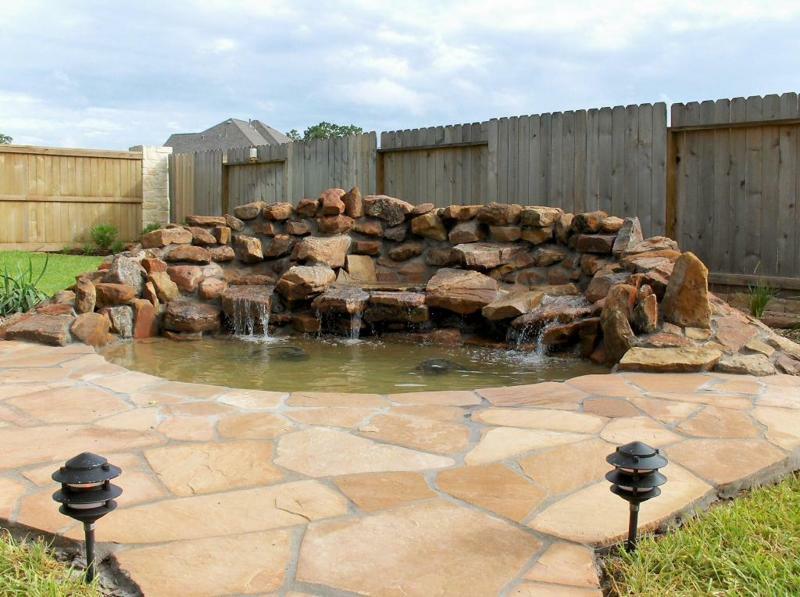 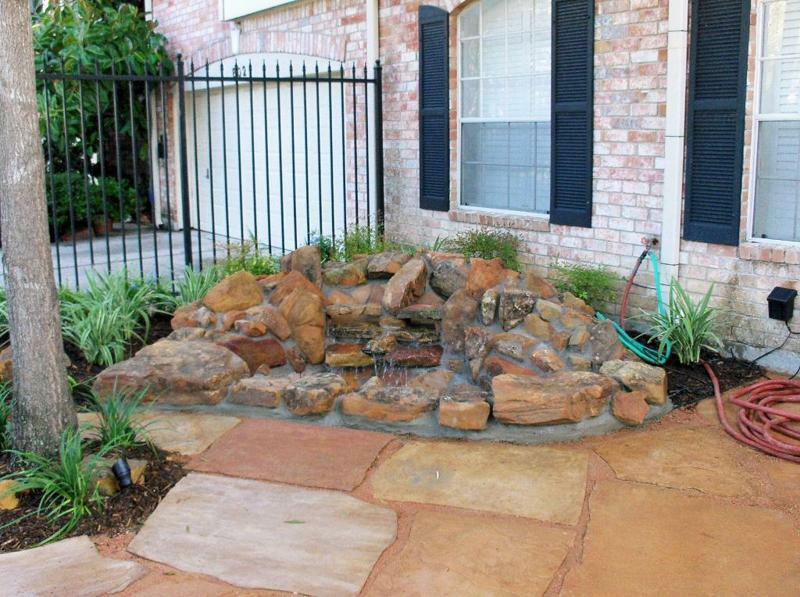 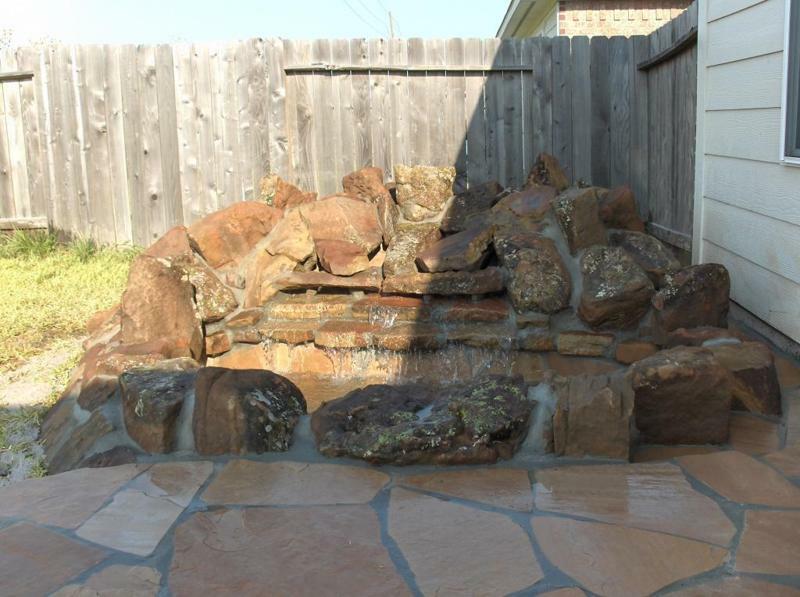 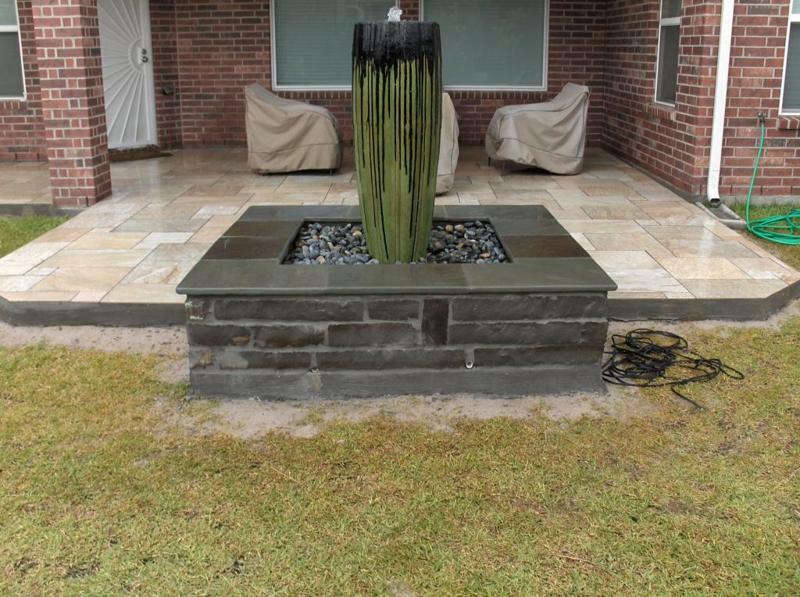 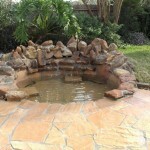 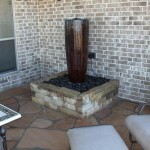 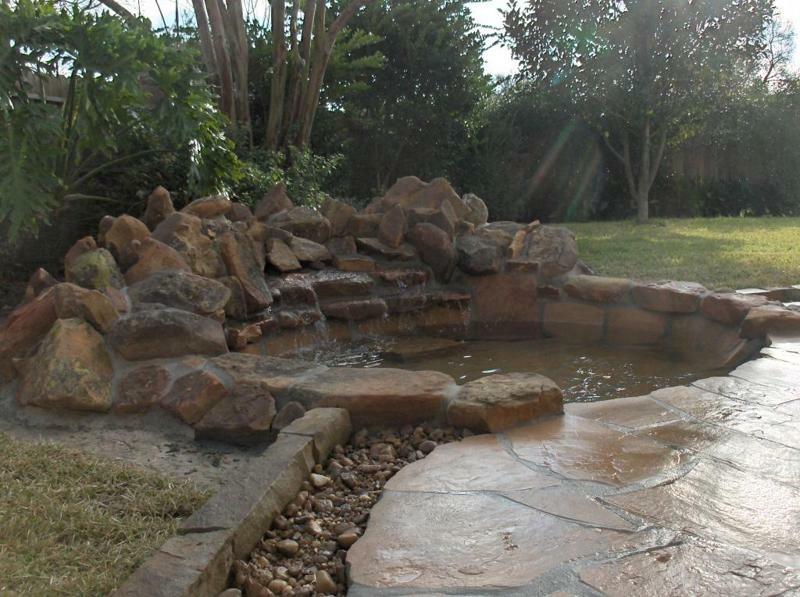 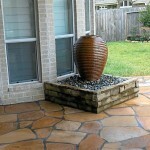 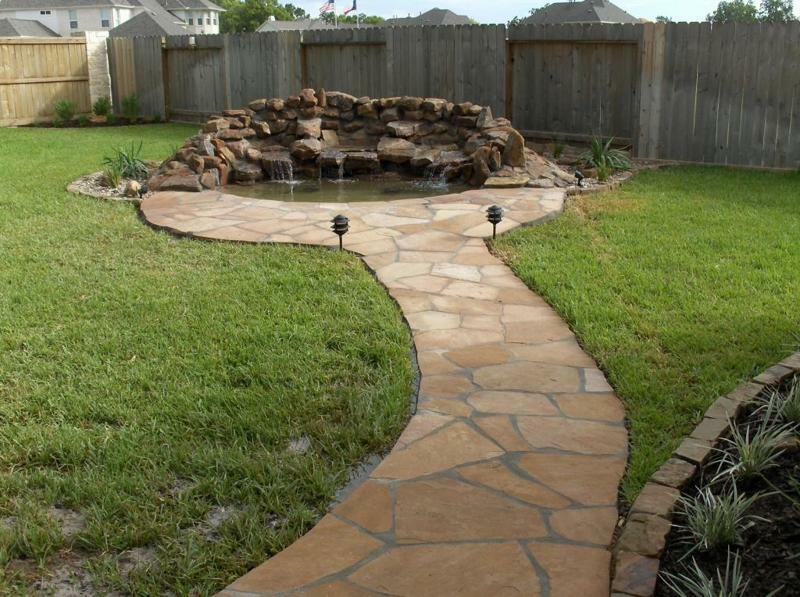 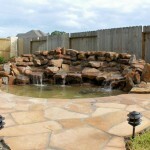 Moss rock waterfall with arizona buckskin patio. 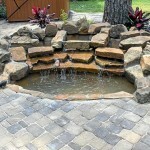 Mossrock waterfall with buckskin patio. 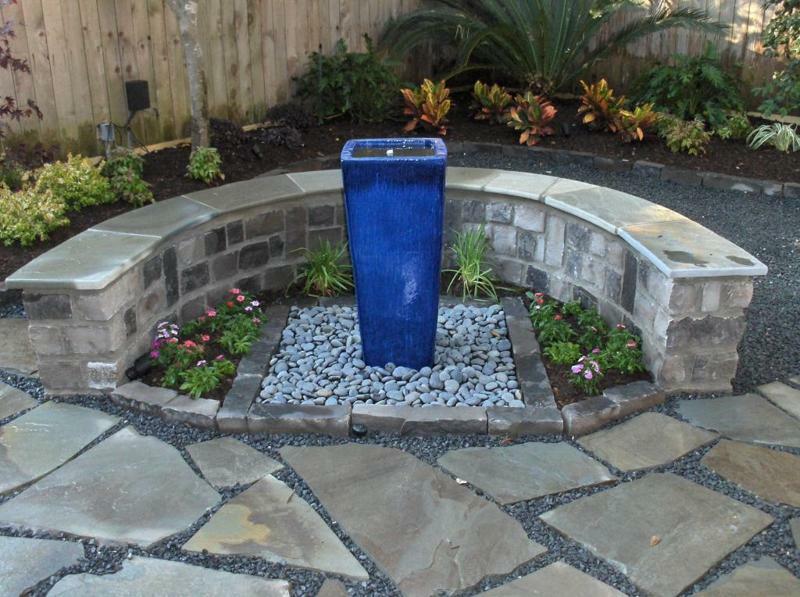 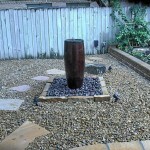 Avalon slate patio with formal slate water feature,and landscape.